Classification of wire cut EDM - Kingred Electrical And Mechanical Technology Co., Ltd.
Kingred Electrical And Mechanical Technology Co., Ltd.
We are a factory of Wire Cut EDM Machine,Sinker EDM Machine,Small Hole Drilling EDM Machine. 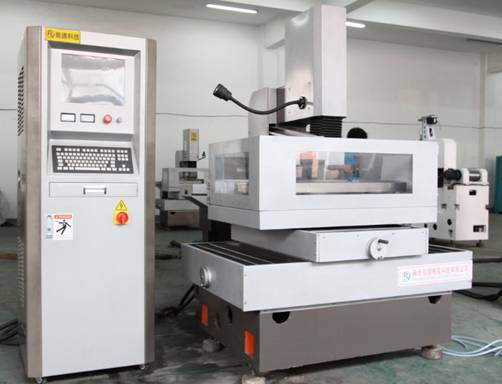 According to different wire feed speed, there are two different type wire EDM machine in the market, CNC low speed feed wire cut EDM machine and CNC high speed feed wire cut EDM machine, this classification method is widely accepted in the market. 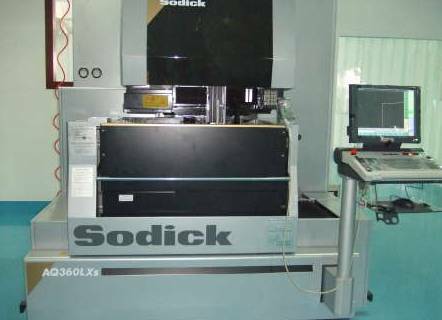 CNC high speed feed wire cut EDM machine, see figure 1-1, its electrode wire feeds reciprocally at fast speed, regularly 4-11m/s, and electrode is used reciprocally. But fast feed speed of electrode wire will cause vibration and interval stop of direction change, machine quality goes down. High feed speed wire cut EDM machine is original from China, and widely used in domestic market. Nowadays, many China made high speed feed wire cut EDM machine has ability of multi-time cutting, which is unique for low speed feed wire cut EDM machine before, with multi-time cutting ability, surface finish had been improved apparently, up to around 1μm. This kind new machine is called medium speed wire cut EDM machine. CNC low speed feed wire cut EDM machine, see figure 1-2, its electrode wire feeds slowly and continuously to one direction, regularly 0.2m/s, electrode won’t be used again after electrical discharging, work smoothly, evenly, less vibration, cutting quality is pretty good, such king wire cut EDMs are mainly produced in Japan, Switzerland, Japan and etc. CNC low speed feed wire cut EDMs are mainly used for machining products with very strict requirement of accuracy and surface finish.